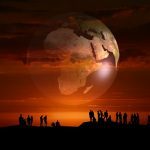 Travel bloggers are often more likely to be showcasing destinations outside their own towns or countries providing us with an travellers view of the places they visit. The places they come from are often places we would love to visit. I caught up with a few bloggers to get the inside stories of their home towns. Montreal is a unique city that offers modern energy and old-world charm. 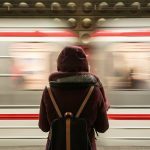 Here are a few tips for your next trip. First note is that although it is the second largest French-speaking city in the world, after Paris, you will be ok if you don’t speak French. This is especially true if you are visiting the tourist sites and areas like downtown Montreal or the Old Port. The city is the festival capital of North America, so are used to having English-speaking visitors. Although many in summer, no matter what time you visit there will be a festival for you to check out, especially during winter. If you are driving on the island of Montreal you cannot turn right on a red light, unless indicated otherwise. Like New York, this only applies to the island of Montreal and right turns are allowed throughout the rest of Quebec. If you are not traveling by car, the bike rentals located throughout the city are a great way to see more of Montreal, especially Mont Royal. If biking isn’t your thing there is a good bus and ‘metro’ (underground subway). You can even stroll in the underground tunnels right below downtown Montreal without going outside. While exploring the city be prepared to see old and new merge. Once great downtown example is the Ritz Carlton, the location where Alexander Graham Bell made his first transcontinental phone call between Montreal and Vancouver. Recently undergone a $200 million restoration, much of the original 1912 décor has been restored. With over 375 years of history, Montreal has strong European traditions. There is nowhere better to see this than taking a walk along the historic 18th-century cobble stone streets of the Old Port. Sit and have a coffee at a Café, grab some food from a food truck or enjoy some fine dining on a terrace. Don’t forget to sample Canada’ signature food ‘Poutine’ while you are visiting the province where it was created. Read more from Paige at A Piece of Pie. 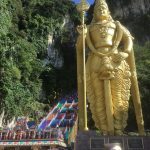 I’ve lived in Brisbane for almost 30 years and have been providing travel tips on it and the surrounding region for almost 20. 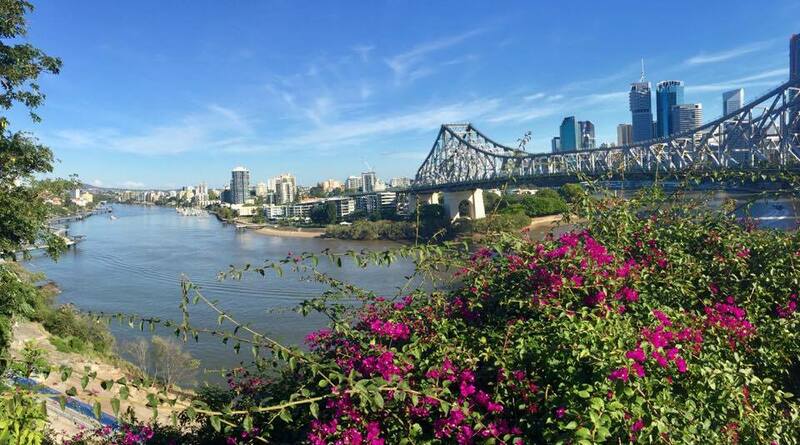 Brisbane has really grown up in the last few decades and has moved away from feeling like a big country town to a vibrant capital city with a great atmosphere. It’s sub tropical climate has helped to shape its thriving al-fresco bar and restaurant scene and the emergence of some of the countries best events and festivals. • Jump on the Citycat – Brisbane’s fast river ferries that traverse the Big Brown Snake ( aka the Brisbane River). You can literally pass through the cities most interesting sites from the University of Queensland at one end to the Gateway Bridge at the other. • At the Gateway Bridge end be sure to visit the Eat Street Markets. A menagerie of shipping containers that serve up a huge array of food and beverages from all over the world, plus a variety of excellent entertainment. 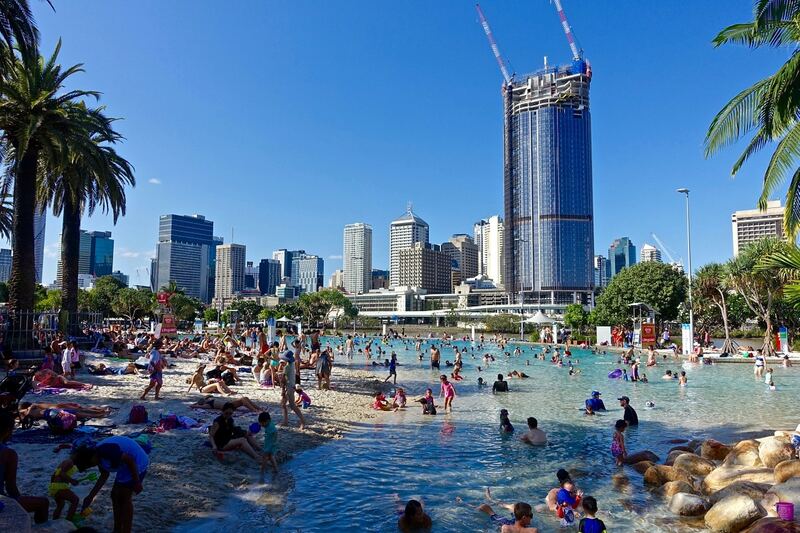 • Spend half a day at Southbank, Brisbane’s cultural precinct on the river across from the CBD. 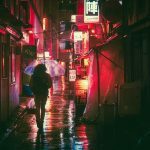 It includes award winning Museums, the State Library, numerous cafes and bars, funky laneways and Australia’s only man made ( and fully patrolled) beach. 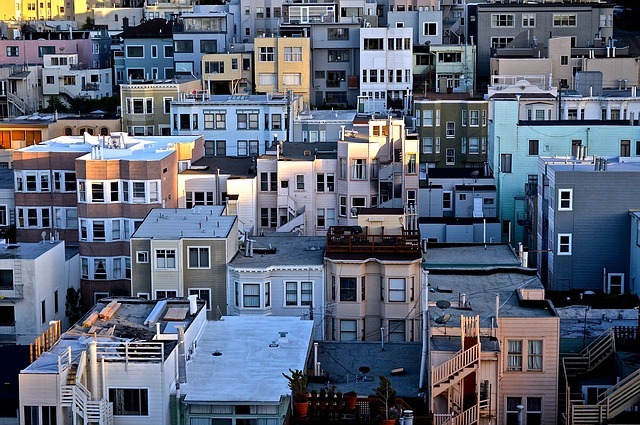 With ever increasing costs of living, Vancouver, BC is not a cheap place to call home. But that doesn’t mean you have to empty your wallet on a trip here. If you are planning a visit to Vancouver, there are plenty of activities you can do for free or cheap. Not only will this help you keep you hard-earned dollars for the occasional treat like dining out at one of Vancouver’s many renowned eateries, but you will also get a better idea of how locals live in this beautiful city they call home. Want some ideas to get you started? Whether you are a tourist or a local, a walk (or bike ride) through and/or around Stanley Park is a must. Vancouver is known for its accessibility to nature and this 1000-acre park is right downtown. For those looking for a more challenging hike, the Grouse Grind in North Vancouver will push you to your limits. The walk up is free, but there is a $15 fee to take the gondola back down the mountain. 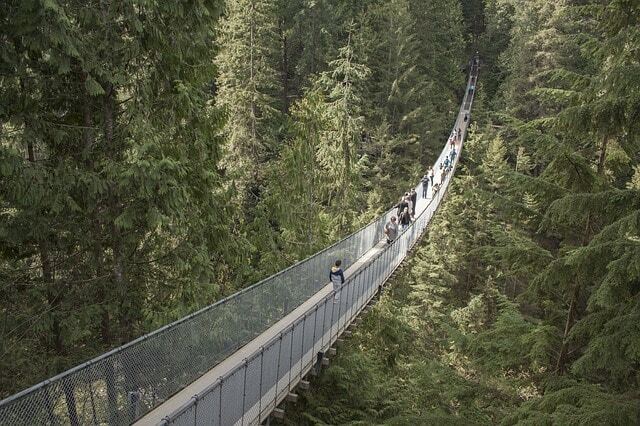 Of course, if you would like a gentler hike while still taking in some stunning scenery of the North Shore mountains, head to Lynn Canyon where you can walk across a suspension bridge. If you are looking for more to do within city limits, try a visit to Granville Island with its local artisans, check out the historical churches throughout downtown, or visit the Vancouver Art Gallery on a Tuesday evening when admission is donation based. 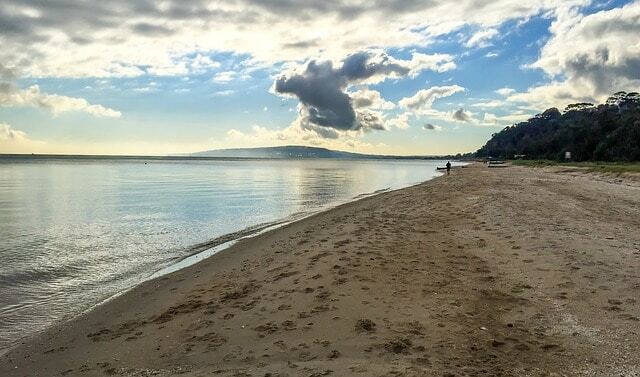 Don’t forget – we also have gorgeous beaches which are always free to visit! If you are visiting northern California, consider a weekend in the Monterey Peninsula. The towns of Monterey, Pacific Grove, Pebble Beach, Carmel-by-the-Sea, and Carmel Valley are located right next to one another, and together, they offer an unparalleled variety of activities designed to engage every type of traveler. Walk around the adorable village of Carmel-by-the-Sea, where the houses and buildings have no numbers and there are no street lights, in order to preserve the charm of the village. The fairytale cottages scattered about the village will enchant you. 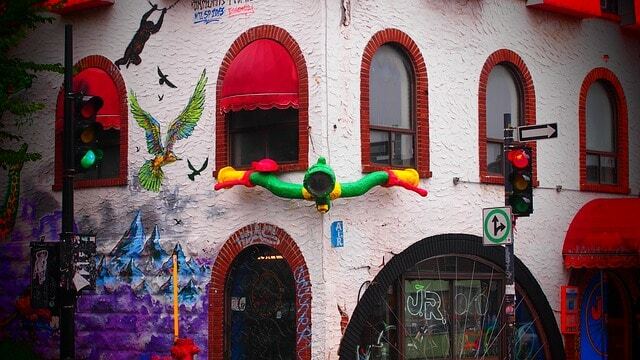 Shop at one-of-a-kind boutiques offering everything from jewelry to art. In Monterey, dine at a seafood restaurant and visit the famous aquarium. And do a whale watching tour…we saw more than 50 whales on our afteroon trip a few months ago. 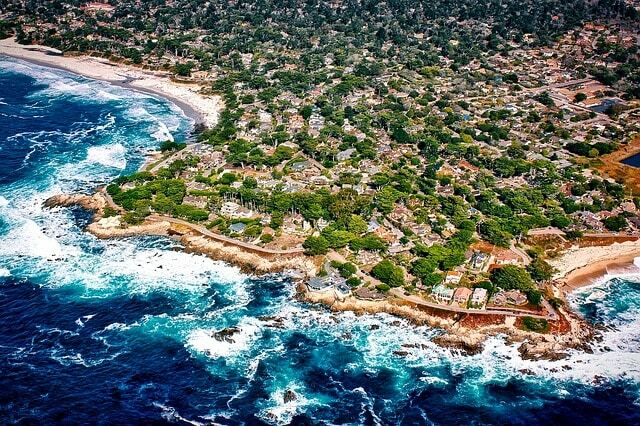 Do the 17-mile drive in Pebble Beach, to ogle at the scenery and the mansions of the uber rich and famous that line the route. Enjoy the sun and sand at any one of many beaches in the area. Do wine tasting in Carmel Valley. Take a boat out onto the waters of Monterey Bay. Visit the Point Lobos State Park, where you can walk a trail and see the centuries-old Monterey cypress trees. 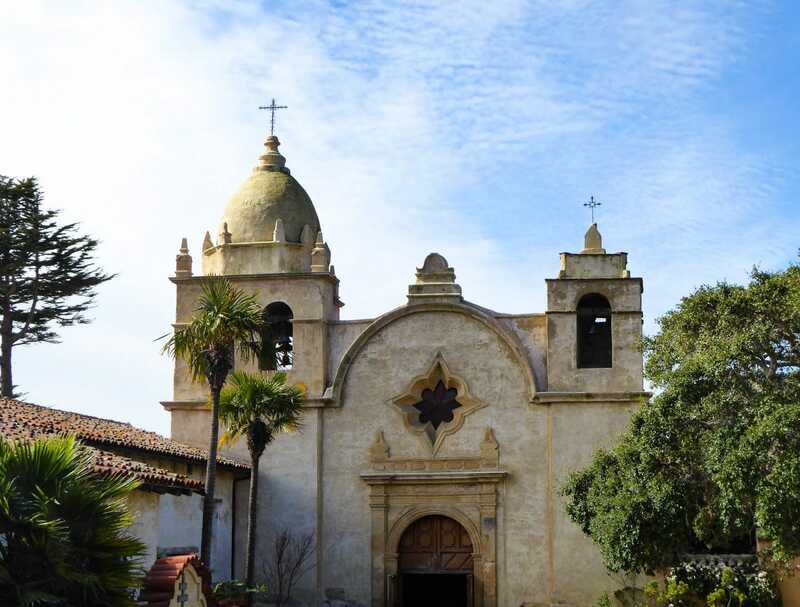 Visit the famous Carmel Mission, built by the Spanish missionaries in 1797. With a wealth of things to do, world-class food and wine, and beautiful weather, the Monterey Peninsula of California is a wonderful place to visit. It’s just 2.5 hours by road from San Francisco. Read about Dhara’s Adventures at It’s Not About The Miles. Snow-capped mountains, four distinct seasons, delightful landscapes, a thriving supportive community, vineyards, cellar doors, cafes, cinema, antique shop, art gallery, tourist centre – what more could you want in a small town? Tumbarumba is halfway between Sydney and Melbourne in NSW Australia. 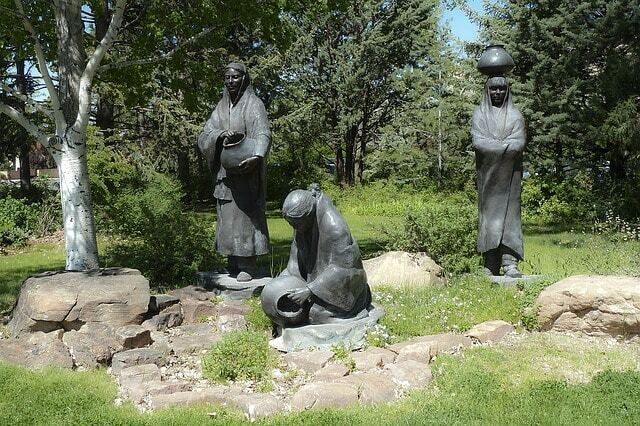 It is a small rural town, home to approximately 2000 people. The first European settlers adopted the Aboriginal name, Tumbarumba, meaning ‘hollow sounding hills’. We have lots of creeks, a man-made lake and a beautiful waterfall. The mighty Murray River isn’t far away from Tumbarumba – all popular spots for camping, fishing, canoeing and swimming. 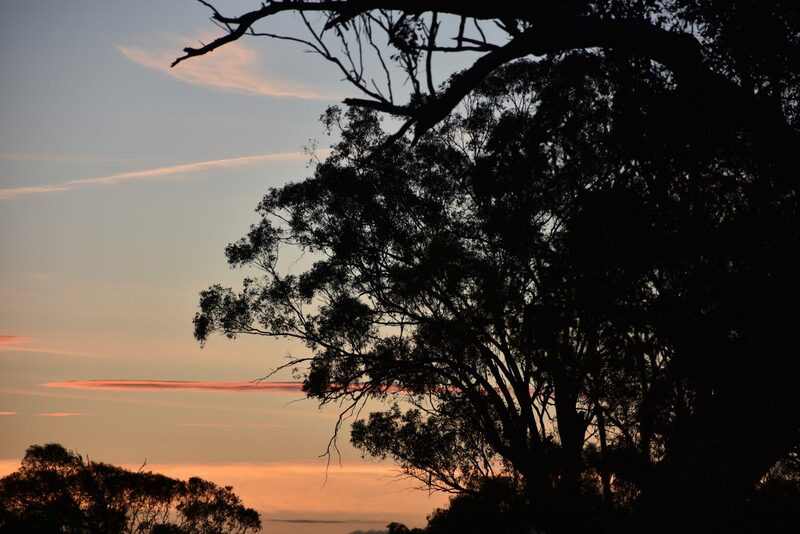 Gum trees, pine trees and deciduous trees – it is a photographers’ paradise in Autumn with the leaves changing colours. Our area is well known for its cool climate vineyards producing award winning wine, not to mention gorgeous views of vineyards on our doorstep. Blueberries are also grown in the area. Mt Kosciuszko (Australia’s highest peak) is within sight of our town and the snow-capped Main Range is a popular draw-card for visitors throughout the year. Skiing, cycling and hiking are all fun activities. We are quite high with an altitude of 645metres above sea level and we sometimes get snow falls in winter. Extra: Tumba-bloody-Rumba shootin’ kanga-bloody-roos is a line from a well-known Australian poem, The Integrated Adjective, by John O’Grady. It’s a bit Bogan but it says a lot! 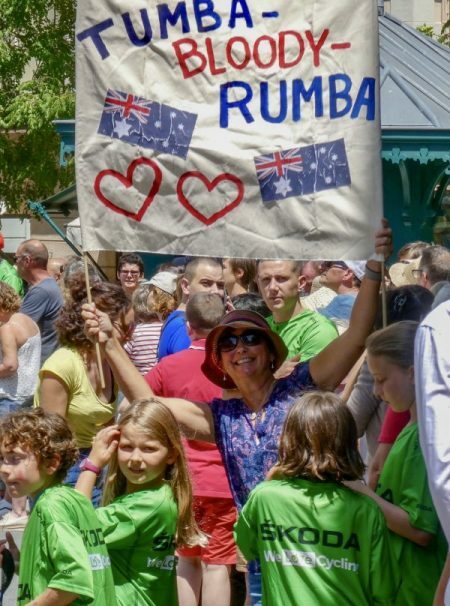 My photo shows me holding a sign promoting Tumbarumba while in Mazamet France for the 2018 Tour De France. Read more about Deb’s travels at Deb’s World. 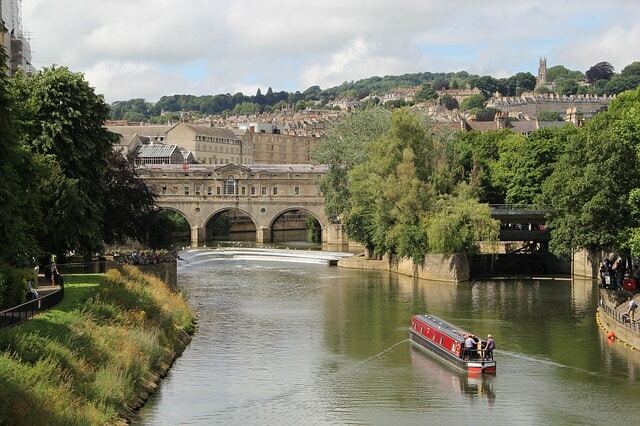 Bath is a city in the South West of England. It is a UNESCO heritage site and has been a place for visitors since Roman times. To get the best from your visit here are a few tips. Visit by train or use the park and ride. 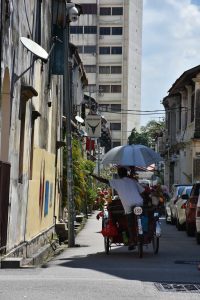 Parking in the city centre is expensive and a hassle to get to especially at peak times. Try and spend at least a day in the City. There is so much to do in Bath that you will find half a day or a quick visit on the way to other attractions will not be enough. Arrive at the Roman Baths early or very late in the day. The Roman Baths get very busy. 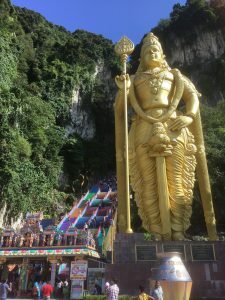 They are the only attraction in the City that is paid entry and so to get value and a peaceful visit avoid the peak times when all the coaches arrive. 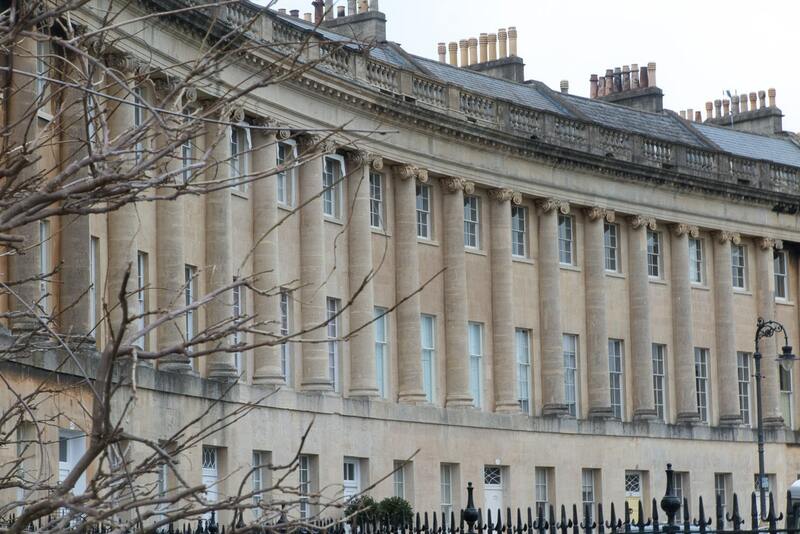 The Royal Crescent and The Circus are a five minute walk from the roman Baths. On the way you pass the Jane Austin museum and a number of lovely bars. Wandering the back street of Bath on the way to the Royal Crescent will show you some hidden gems. 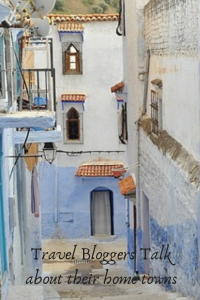 Check out Suzanne‘s travel stories at Suzanne Easton Photography. Less than 100 kms from Melbourne is the stunning Mornington Pennisular. There is something to tempt every member of the family even down to the 4 legged friends. Visit Arthurs Seat and take a gondola ride to the peak. On a clear day you can see across Port Phillip Bay to the city of Melbourne. Arising out of the water like Atlantis. Sample some wine at one of the 50 Wineries that are practically on my doorstep with some amazing world-wide winning wines. Wine isn’t your thing? Then perhaps a local beer, local cider or a gin. Yes our own gin! From local mussels, artisan goats cheese,local beef and berries to tantalize the taste buds! There is even a vegan dairy!Cafes with the most amazing coffee and cakes. 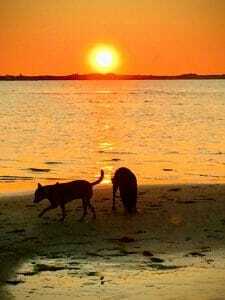 Stunning white sandy beaches where the children can play and swim safely, the dogs can chase balls and the seagulls. Just before sunset, grab the wine and the camera and head to the bay. You won’t be disappointed. So can I tempt you to come and stay for a day or perhaps a weekend. Why not do what I did and move here. Its like your always on holiday. Read more about Bree’s Travels at 3 Sisters Abroad. I live very close to Amsterdam and I am a frequent visitor. 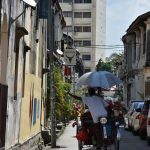 In recent years locals have started to complain that tourism has just become too much and that is no longer fun to live in the capital. 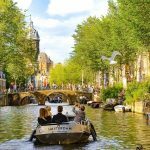 I must agree that Amsterdam has indeed become very crowded and that walking in peace through the canals has become impossible in the centre where all the tourists go. But getting off the beaten path in Amsterdam is not difficult. 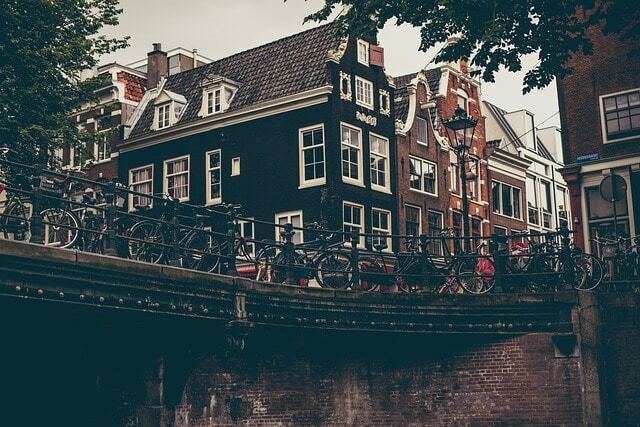 My biggest tip for those who truly want to get to know Amsterdam is to visit and wander around in some of the more quiet neighbourhoods such as the Jordaan, de Pijp or Amsterdam Noord. Very few tourists take one of the free ferries across the IJ river to the North of Amsterdam, but this is where I go to escape the crowds. A few years ago the NDSM wharf was still a desolate old shipyard, but has now become a centre for creativity with artists and some of the best cafes and restaurants of Amsterdam. 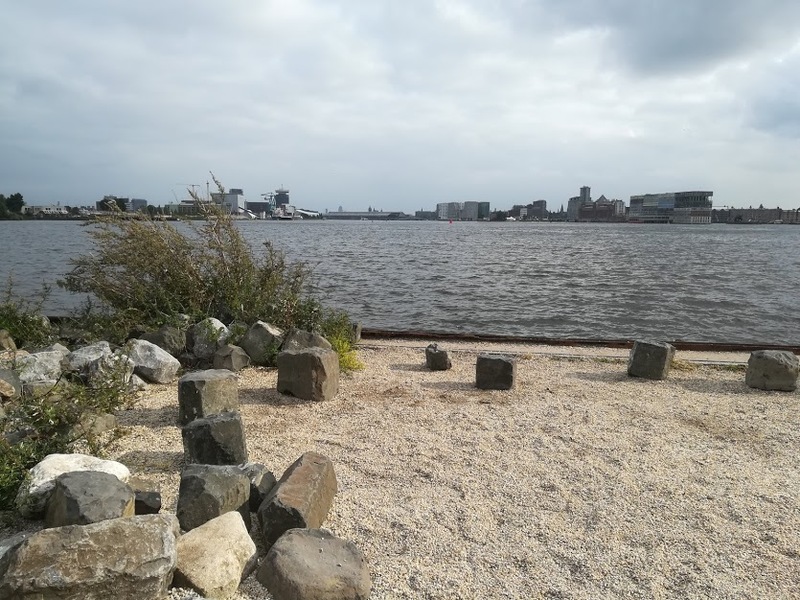 One of my favourite spots to relax in Amsterdam North is Pllek with a wonderful view on the IJ river. Read more about Ellis’ travels at Backpack Adventures. If you are planning a trip to Adelaide my top tip is to come here in March! You will miss the crazy heat of summer, but it will still be warm enough to enjoy being out in the evenings. 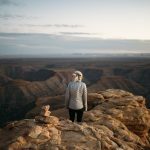 And you will want to be out in the evenings, because this time of year is when many of South Australia’s major events happen. There’s the Clipsal 500 Supercar race, a four-day event to delight every petrol-head with concerts every night featuring many big name artists. The Adelaide Cup horse race is run, with all-day festivities at Morphettville racetrack. 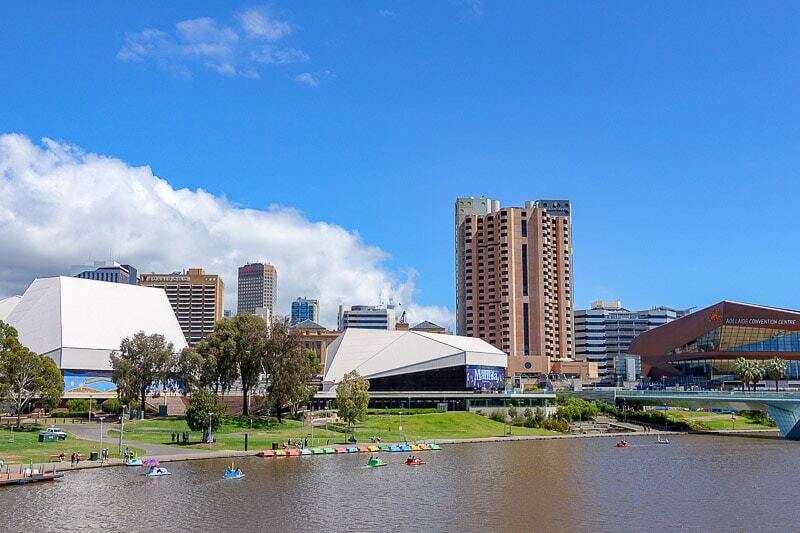 There are also numerous festivals, from the Adelaide Fringe that runs for a whole month from mid-February to mid-March, the Adelaide Festival, and WOMAD, all with numerous artists and genres from comedy to drama to dance to music, even kids are catered for. There really is something for everyone. In March the streets buzz. Everyone is out and about and the cafe scene of the city’s East End is in it’s element. Make sure you check out the Northern Lights on North Terrace (a smaller version of Sydney’s Vivid) before relaxing in The Garden of Unearthly Delights (both part of the Fringe) as you realise Adelaide is no longer that sleepy little town you’ve heard about. 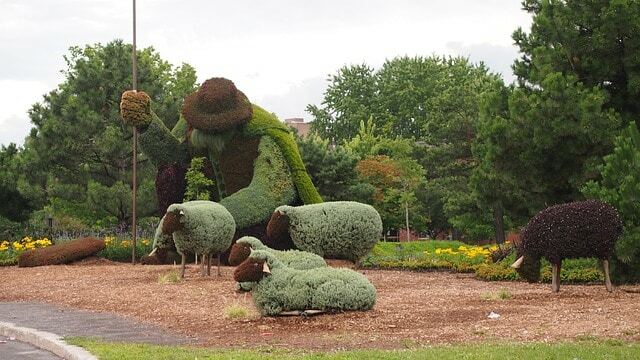 The beautiful city of Ottawa has been Canada’s capital since Queen Victoria chose it in 1857. 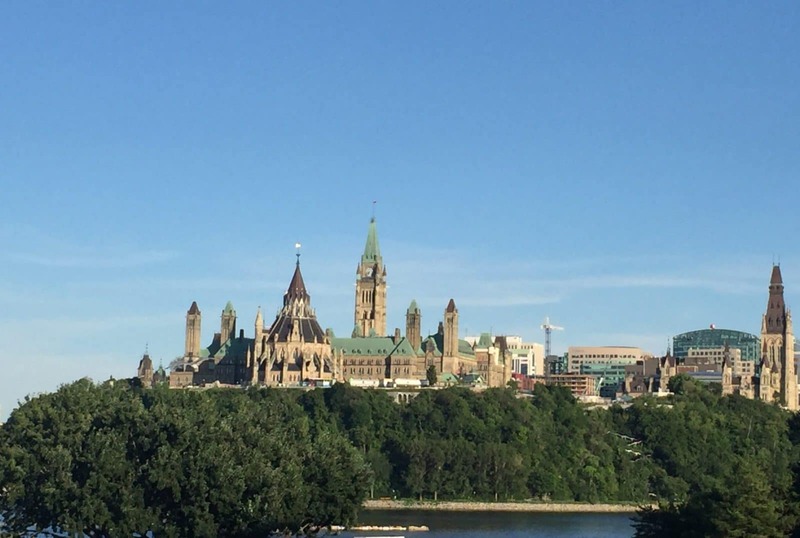 Located in the province of Ontario, Ottawa is nestled on the Ottawa River, bordering the province of Quebec, and sits between the much larger cities of Montreal and Toronto. Due to its proximity to so many great locations, it’s the perfect place for a vacation. Being the nation’s capital, Ottawa is filled with top notch galleries, museums and sporting facilities. I remember my first visit to the National Art Gallery when a Monet exhibit was visiting the city. Then, and now, the gallery takes my breath away. Children of all ages love the Canada Science and Technology Museum which just reopened after a multi-year redesign project and the Canadian Museum of Nature where kids can explore dinosaurs, fossils, the arctic and more. These museums, along with the National War Museum, the National Aviation and Space Museum and so many more, can create days or weeks of exploration. Ottawa is also home to the Royal Canadian Mint, where you can take a tour to learn about coin design. For sports fans, Ottawa is proud home of the Ottawa Senators (hockey), Ottawa Fury (soccer), and Ottawa Red Blacks (football) which all play out of state of the art facilities. When planning a visit, keep in mind the extraordinary annual activities taking place in the National Capital Region including the Canadian Tulip Festival, Winterlude, Ottawa Bluesfest and, of course, the Canada Day celebrations on Parliament Hill (you’ll need to plan that last one early as hotels fill up quickly). 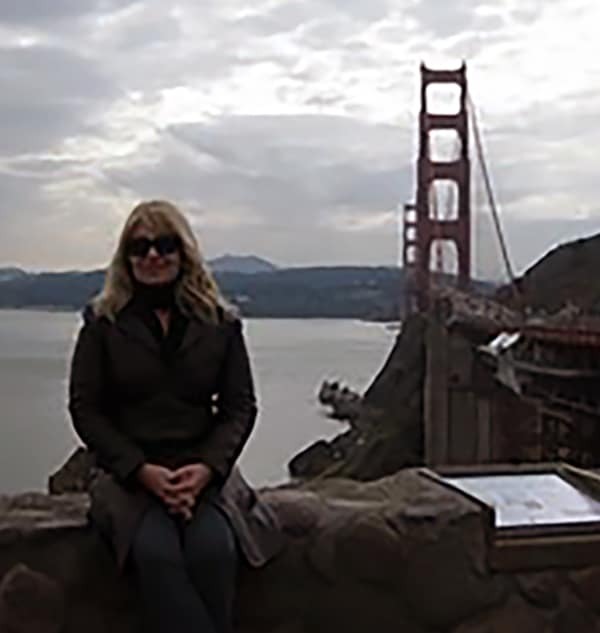 Read more about Joanne‘s adventures at Sunsets and Rollercoasters. My hometown of Townsville Australia, was named after pastoralist entrepreneur Robert Towns, hence the confusing double up of Towns and ville. Townsville has a hot and humid climate although it doesn’t often rain, resulting in an enviable quota of 320 days of Sunshine each year. The Strand, a 2.2 km beachfront promenade caters for the hot tropical lifestyle with a water park, a huge man-made rock pool filled with fresh pumped seawater, the public Tobruk Baths and two seasonal stinger enclosures to protect against marine stingers. It is beautifully maintained with green grass, pretty lighting, a jetty to fish from, a landscaped waterfront and cafes galore. Backing the Strand is Castle Hill with all encompassing Coral Sea views. It has a road to the summit, but fitness fanatics prefer to run or walk the so called Goat Track – a gravel path that scales the hill side with the occasional set of heart-pumping stairs thrown in for good measure. 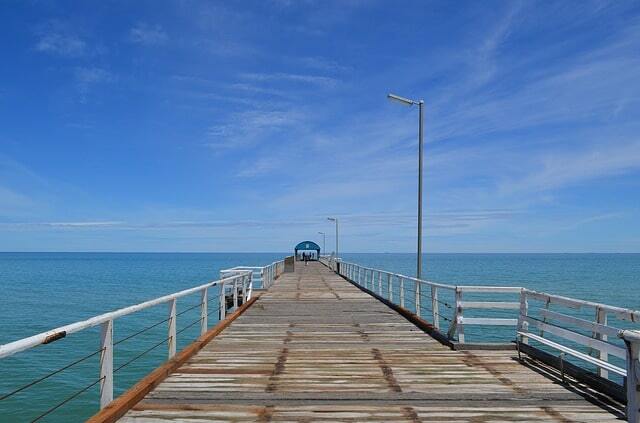 Quirkily, Townsville has it’s own island suburb, 8km off-shore known as Magnetic Island. Some residents live on the island and commute to the City while others live city-side and use the island for a perfect holiday retreat. Read more about Jan’s home town Townsville. Hull (or Kingston-Upon-Hull as its officially known) is full of surprises. Once voted the UK’s “ Crappest Town”, Hull stepped into the limelight in 2017 as the second UK City of Culture (a title that it will hold until 2021). With travel time of just under 3 hours from London, and 2 hours from Manchester. Hull is a fantastic option for a quick weekend away. Located on the banks of the mighty Humber, this once busy fishing port, has something for everyone. 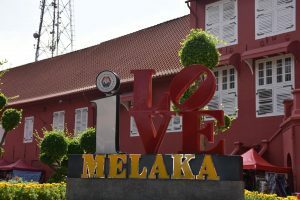 The city has several galleries and museums that are all free to explore. See the Spencer Tunicks ‘Sea of Hull’ pieces at the Ferens, visit the woolly mammoth at the Hull & East Yorkshire Museum, and walk the ‘Real Ale Trail’. Spring and Summer, is when the city truly comes alive, attend one our festivals (Freedom Festival, Humber Street Sesh, Yum Food Festival (to name a few) to get your toes tapping and belly full). 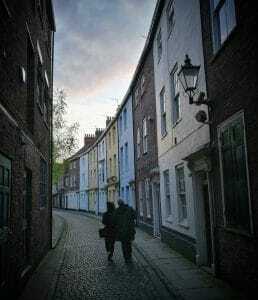 Hull is a wonderful place to wander, to get lost, and to discover hidden gems. 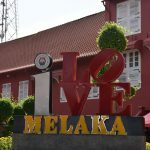 The friendliness of the people here is disarming, you’ll find yourself in conversation with a complete stranger, and leave with a new pal, and list of things to see and do. Read more about Melissa’s travels at Meet Me At The Pyramid Stage. Geelong has changed so much since I lived there, however the change is definitely for the better! Geelong is an hour south-west of Melbourne’s CBD, and was known as an industrial, port town with a strong wool industry. 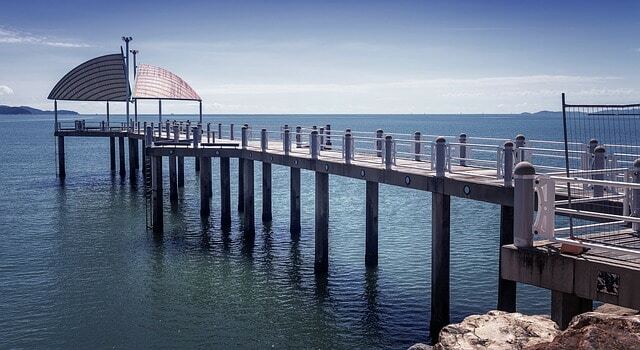 Take a stroll by the bay: Starting at Cunningham Pier, enjoy the carousel, stroll through the Steampacket Gardens, past the Royal Geelong Yacht Club, onto Eastern Beach featuring the painted bollards (which once lived in Corio Bay) and don’t miss the swimming enclosure. The walk is about 2kms return. 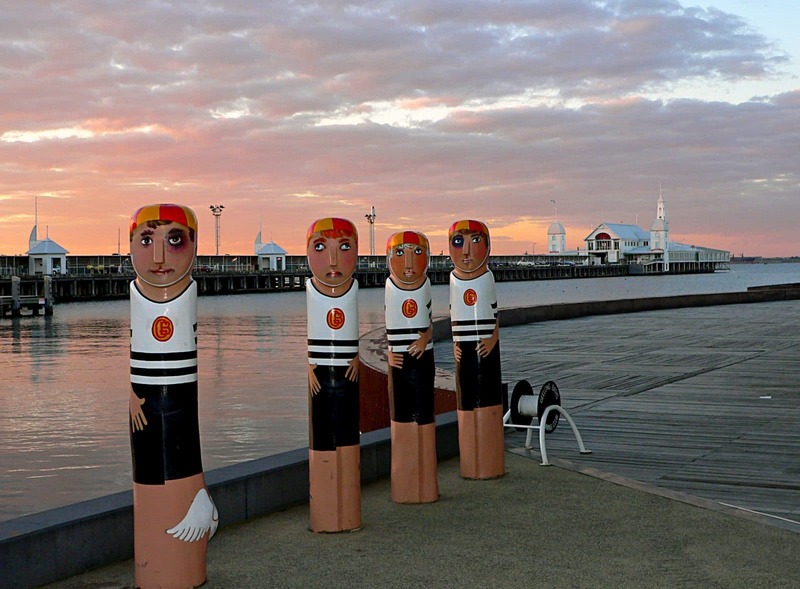 Painted bollards on Corio Bay, with Cunningham Pier in the background. Culture and history: The National Wool Museum is located in one of the original woolsheds and is worth a visit, as is the Geelong Art Gallery. The gallery is located next to the very new and modern library, both are very close to the main train station if you’re using public transport. Eat & Drink: There are so many places to eat along the foreshore, and fish and seafood are always a good option. The Wharf Shed Cafe, The Sailors Rest and the Royal Geelong Yacht Club do moderately priced food. Further afield, Geelong now boasts many great wineries on the Bellarine Peninsula, which is also known for its great beaches too. Read more about Alison‘s home town Geelong at Museum Travellers. 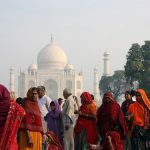 Fabulous post Julie – so many great places to visit all over the world. Thanks so much for putting this together! I’m thrilled to be included telling everyone about my home town Tumbarumba. 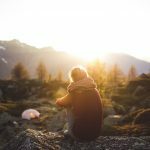 This is such an interesting post! So glad I stopped by. What a wonderful idea! I have returned from a European trip this year and I live in beautiful Tumbarumba and my feet are “itchy” again. Thank you everyone and keep those beautiful exciting places exhibiting! More More More! I saw this post promoted on the Meet Me at the Pyramid Stage blog twitter feed and thought I had to check it out. What a great collection of destinations – thanks for sharing!